Interesting news out of Tampa Bay with one of those "read between the lines" angles. The Buccaneers have cut RB Derrick Ward. But Ward isn't really the story here. I think the story is RB Kareem Huggins. 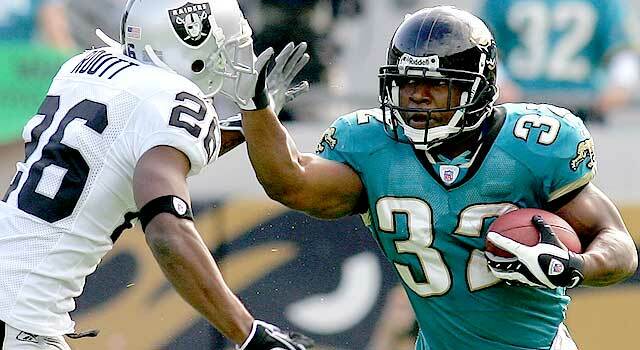 Cadillac Williams is the clear #1 RB for now but we all know his injury history. Huggins has garnered lots of sleeper talk but with Ward in the picture, things were pretty murky. With Ward gone, Huggins gets a lot more interesting in my opinion. He's definitely a guy worth taking a look at for a late round flier. Thanks to Footballguy Mark Wimer for the headsup on this one. Fantasy Football: Can I Get An Amendola? If your league counts kick return yards, it’d be wise to pick up Danny Amendola before even reading this. In case you didn’t hear yet, Donnie Avery is going to miss this season due to the torn ACL he suffered Thursday night against the Patriots. 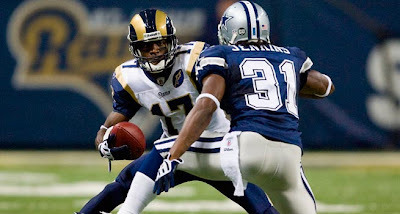 This move will shake up what is already one of the lousiest receiving corps in St. Louis, so let’s look at some options. It seems like just yesterday that Danny Amendola was the lovable sweetheart on Hard Knocks just a few seasons ago. He’s changed several teams and made quite an impact for the Rams last year. So much so that D.A. led the league in kickoff return yards with 1618. It’s not hard to figure out how he accomplished that feat when considering how bad the Ram D was last season. The more times an opponent scores, the more times they need to kickoff. The Rams did nothing significant to improve their D and are expected to be in the cellar for points allowed once again, thus Amendola should be among the league leaders for return yards once again. Amendola was also a decent receiving threat for the Rams. At the end of the fantasy season Amendola topped five receptions in three games from Week 12 to Week 16. Those obviously aren’t numbers to write home about, but for a player in his first year with the team, it’s certainly something that could evolve into notable production this season. Amendola’s worst-case scenario would be as the slot receiver this year. As mentioned earlier, the Rams are going to be behind a lot, which subsequently means that they will be in more three-wide passing sets to attempt to mount a comeback. Bradford has shown considerable promise thus far and he should be a fairly safe bet to approach 3,000 yards. The picks will be there and he’s not likely going to be a TD monster, but yards, he should be solid. Amendola could be used as a crutch for Sammy B since there’s no doubt defensive coordinators will be licking their chops to use complex blitz packages to confuse the former Sooner (oxymoron special). Is Amendola going to give you big-time numbers? No. Does he have a chance to top 800 receiving yards, 60 receptions, and a few touchdowns? I think he does. So again, if your league counts kick return yards at all, he really needs to be owned. The other obvious option is Laurent Robinson. There is really no argument that Robinson has vaulted into the top-40 wide receivers in most formats now that he is the clear-cut number one option. 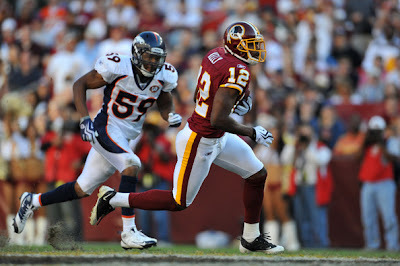 Robinson suffered an extremely severe high ankle sprain with a fractured fibula in Week 3 last year. The first two weeks of the season Robinson was quite productive with an average of 5.5 receptions, 71 YPG, and 0.5 TD. That’s production, folks. Robinson really should be picked up in all leagues and is a better option than recent risers such as Mike Williams (both of them), Legedu Naanee, and Louis Murphy. Don’t let the bad team fool you, Robinson could easily break out and eclipse 1,000 yards with ease. The reason why Robinson and Amendola have such great chances to break out this season is really because the Rams have nobody behind them. Prior to last night, Brandon Gibson had been struggling and there were rumors that he might not even make the team just a short while ago. Mardy Gilyard, a promising rookie out of Cincy, is still a rookie and isn’t really coming out of a pro-style offense which should stagnate his ability to learn the offense to make an immediate impact. One of these two will need to play WR2 opposite Robinson, so they at least deserve to be on your watch list and are worth a scoop in deeper leagues. So with Matt Leinart once again on the verge of losing the starting job that he was supposed to carry into the regular season, there have been rumors and speculation that the Cardinals could trade the 2004 Heisman winner who was the 10th pick in the 2006 draft. As a league source explained to us on Monday, Leinart's current contract isn't conducive to a trade. He's due to earn a base salary of $2.485 million in 2010, which is simply too much money for a guy who won't waltz right in and take over another team's starting job. More importantly, Leinart's salary spikes to $7.36 million in 2011. Thus, the Cardinals' options will be to keep him or to cut him. Clark Judge of CBSSports.com thinks the latter could occur, because "the players there have no faith in the guy and don't believe they can win with him." Judge points out that Leinart's potentially negative influence on rookies Max Hall and John Skelton, along with the fact that the team probably would have to cut one of the promising first-year players if Leinart stays, favors severing ties with Leinart. In our view, Leinart's recent comments regarding his tenuous status suggest that, on a broader scale, Leinart simply doesn't get it. It's not a trait that any NFL team wants or needs from its starting quarterback. That said, we think that two factors favor his ongoing employment for at least one more year. First, the Cardinals need a semi-competent quarterback on the depth chart behind Derek Anderson, in the event Anderson royally stinks it up or gets injured. 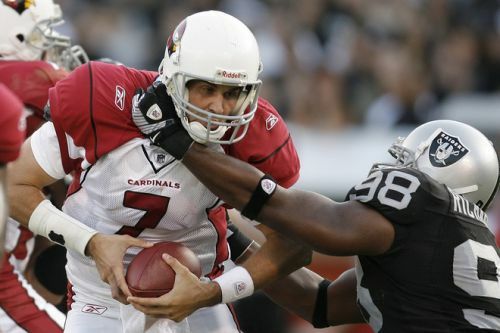 Second, if/when a salary cap returns for 2011, the Cardinals could cut Leinart then -- and pick up $6 million in credit toward next year's salary floor. If Leinart finds himself on the open market, it makes sense for his college coach, Pete Carroll, to provide a safe harbor. If Carroll doesn't, it pretty much tells us all we need to know about Leinart. 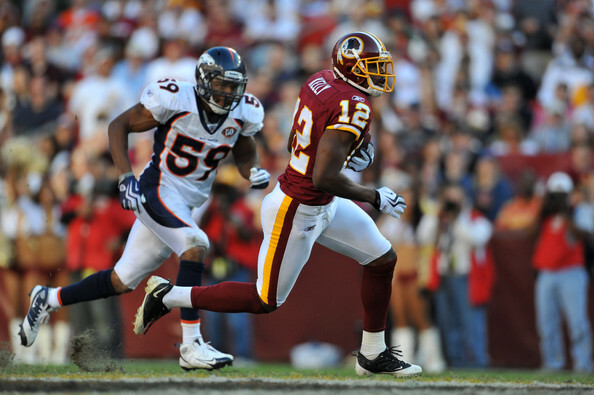 Washington Redskins receiver Malcolm Kelly pulled his left hamstring again Monday, a major setback in his bid to make the opening day roster, while Donovan McNabb and Clinton Portis remain unable to practice with sprained ankles. Kelly reinjured the hamstring in his first full practice since the early days of training camp. He first pulled the hamstring while working out with McNabb in Arizona the week before camp began. "I don't know the extent of it," coach Mike Shanahan said, "but I know it's not good." The third-year receiver had been hoping to use Thursday's preseason finale against the Arizona Cardinals as his one chance to show the new coaching staff he should remain on the team. His absence from four weeks of practices has seen him fall on the depth chart in a crowded receiver competition, and he is now a candidate for injured reserve. McNabb again wore a compression stocking on his left leg Monday as he watched the team's workout. Neither the veteran quarterback nor Portis is expected to play Thursday, even if healthy, because Shanahan usually doesn't play starters in the final preseason game. Shanahan said that McNabb and Portis are day to day, but teammates expect both to play in the season opener against the Dallas Cowboys on Sept. 12. 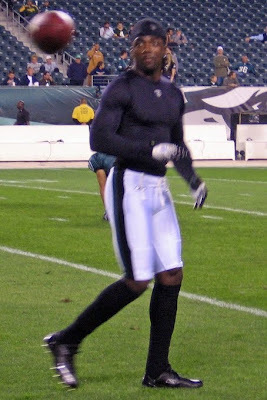 McNabb's injury has hindered his development as he learns a new offense after 11 seasons with the Philadelphia Eagles. "The more somebody practices, the more in rhythm he's going to be," Shanahan said. "We all understand that. But we understand he's got an ankle injury and he's getting treatment and as soon as he's ready to go, we're going to get him ready." Fullback Mike Sellers (sprained left knee) and linebacker Perry Riley (sprained right ankle) also sat out practice. Receiver Joey Galloway was absent for personal reasons. Also on Monday, the Redskins and Rams swapped 2010 draft picks, with the Redskins acquiring defensive end Hall Davis in exchange for tight end Dennis Morris. Oakland RB Michael Bush (thumb) suffered a fractured thumb Saturday, Aug. 28, and will see a hand specialist Sunday, Aug. 29, reports Jerry McDonald, of ANG Newspapers. Head coach Tom Cable said Bush's status won't be known until he sees the specialist. Bush echoed his coach's comments, saying he did not know if or how long he would be out. 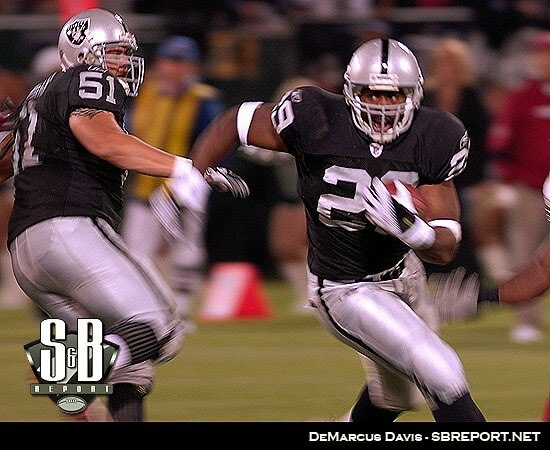 This one is obviously big as we had Bush projected as the Raiders #1 RB. Darren McFadden now gets the chance to show what he can do and would be a value in many leagues. 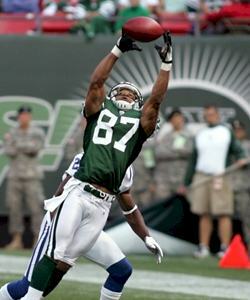 The Jets released WR Laveranues Coles. It was essentially a money issue where they can avoid having to pay his entire base salary. The team could re-sign him at a lower rate but it sounds like Coles isn't interested in that. "I think I'm done," Coles, 32, told The Star-Ledger of Newark. "I don't want to become one of those journeyman football players. I don't need the money. [Ryan] said I was doing well and they want to bring me back after the first game, but I don't know. I don't think that's something I want to do." 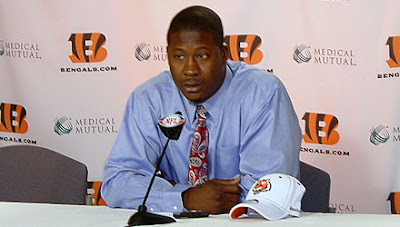 The Bengals released WR Antonio Bryant. This one wasn't hard to see coming once the Bengals signed Terrell Owens as Bryant struggled with a knee injury. 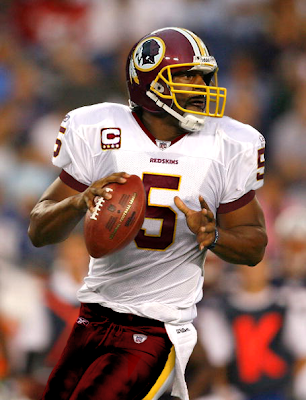 And lastly, there is some concern that Washington QB Donovan McNabb won't be ready for Week 1 because of his injured left ankle. Coach Mike Shanahan was his normal self when asked about it. "I really don't know for sure," Shanahan said Sunday. "That's why it's day by day. We'll see how it goes." The Eagles are one of the deeper teams up-front in comparison to some of their rivals in the NFC East. This is a direct result of being forced to shuffle their lineups frequently during the 2009 season because of injuries. Much of the depth that was developed was in their linebacking corps as well as on their offensive line. No one can predict ahead of time when and how injuries will affect a given team during the long season. Nor can one know in advance which team will suffer the most despite notions to the contrary heard every season (usually by teams that are 'more' fortunate) that injuries affect everyone equally in the long run, and that everyone has to deal with similar situations. Previous season adversity helps build the very depth needed to contend in the face of unexpected adversity and injuries. Having deeper lines will help Philadelphia make the move to the younger skill players that they strategically planned this past offseason to rollout this Fall. Not the least of these offseason moves is management and Head Coach Andy Reid's decision to go to Kevin Kolb as their primary signal caller at quaterback. Donovan McNabb was dealt to Washington in one of the offseason's biggest trades. 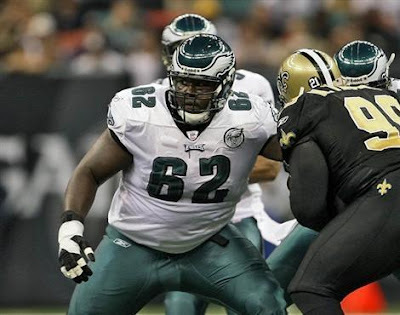 Despite the fact that center Jamaal Jackson has been missing from the starting lineup during the preseason, the Eagles offensive line has been building depth in training camp with Nick Cole stepping up to fill the position just like he did late last season. Also taking reps are Mike McGlynn and A.Q. Shipley who are both competing for the center spot as well. Jason Peters, Todd Herremans, Max Jean-Giles, Reggie Wells (recently acquired from Arizona) and Winston Justice are all veterans who fill out the rest of that line to help make up for the release of Stacy Andrews and former pro-bowler Shawn Andrews--now a New York Giant. The defense returns at full strength with longtime stalwarts Brodrick Bunkley and Mike Patterson anchoring the middle of their defensive line. 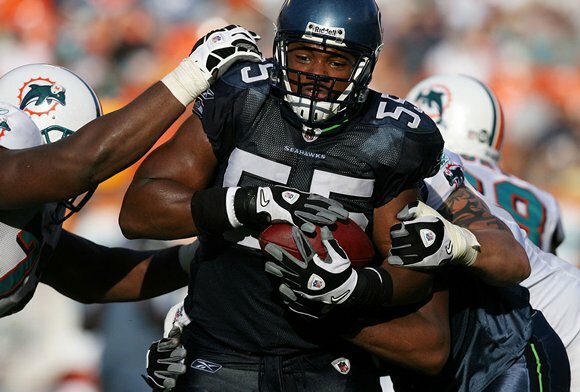 They have added DE Darryl Tapp from Seattle to the D-Line while getting younger with the release of Jason Babin, Darren Howard, and Chris Clemons. Former Detroit LB Ernie Sims joins the linebacking corps that is minus Will Witherspoon--now a Titan, Joe Mays--in camp at Denver, and Chris Gocong--now a Cleveland Brown. However, the front seven gets nearly everyone else back including MLB Stewart Bradley (out most of last year), Omar Gaither, Akeem Jordan, and Moise Fokou--all with newly acquired experience from last season that will be in the lineup with a few new youngsters like Brandon Graham at DE. Should their gamble to move to a new quarterback behind these lines pay dividends, then the Eagles could contend for the lead in the NFC East and the playoffs--especially if one of the other NFC East teams--like Dallas, for example--find themselves plagued with the injury bug that inevitably catches teams in stride unexpectedly. 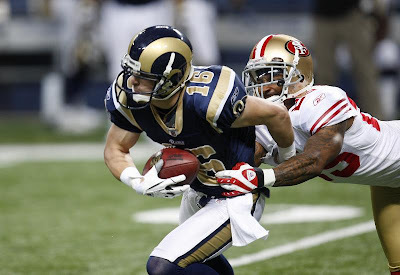 Continuing our series on the over/under for regular season wins in the NFL, we’re taking a trip out to the NFC West. While the 49ers and Cardinals will likely be in a battle for the division title, the other two teams in the division could very end up battling for a top pick in the 2011 draft. And how will they do facing the over/under? Here’s my take. A tough call here, but Arizona has a pretty legitimate shot at going 8-8 or 9-7. This picked is based more on the ease of Arizona’s schedule rather than their own ability. Realistically, Arizona should come out of the NFC West with a record 4-2 or better; the Rams are as close to being a “gimme” as anyone in the league and Seattle is not looking much better. That said, when you look at Arizona’s non-division opponents (@ATL, OAK, @SD, NO, TB, @MIN, @KC, DEN, @CAR, DAL) finding 4 more wins seems likely, with TB, DEN, OAK, and KC looking like the most likely wins. It seems odds-makers have a lack of faith in Leinart this year. If he bombs, their season could quickly come undone, but Arizona should be able to run the ball with Beanie Wells and Tim Hightower, and Larry Fitzgerald will make any QB look a little bit better. Their defense, is at least average, or slightly below, and will be enough to keep them in games as long as Leinart doesn’t flop. Another pick that ultimately comes down to your belief in one player, and that player is Alex Smith (QB). Alex is hanging on, and this is likely his last chance. His play has left something to be desired over the last 5 years, yet the 49ers are not ready to give up on him. Alex Smith supporters point out this is his very first season with the same offensive coordinator, while detractors simply point to his past performance. Past performance does not guarantee future results, but I do not expect a meteoric rise from mediocrity, à la Drew Brees. However, I do think he could find a niche as a solid, game-managing QB. The 49ers invested 2 first-round picks into the offensive-line and promise to run the ball more this year. If they can run successfully, and not put the game on Alex Smith’s shoulders (or in his hands, for that matter), they will be able to rely on their up-and-coming defense to win games. 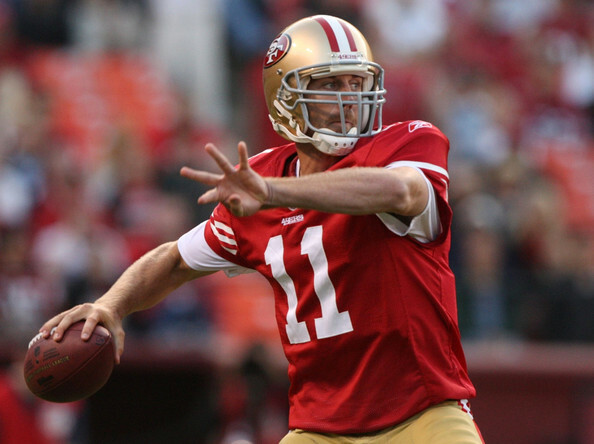 The Niners swept the Cardinals in 2009, and have a very real chance at running through the division this year. I project a division record of 4-2 for the Niners, meaning they only need to find 5 wins outside of the division. Luckily for San Francisco, they drew the AFC West and NFC South, which should provide them with those wins. Oakland, Kansas City, and Denver are beatable teams, and they should be able to knock-off Carolina and Tampa in the NFC South. I see 9 wins as the floor for this team, which is an improvement of 1 win from last year, when they finished 8-8 and enjoyed their first non-losing season in 6 years. This team is young, has promise, and is a great pick for an over… And if you take the over and lose, well, it was probably Alex Smith’s fault. While there was much buzz about Seattle’s offseason and how splendid it was, I disagree, it least for their 2010 outlook. Russell Okung steps in to fill the shoes of Hall of Famer Walter Jones, and I don’t think you expect a rookie to play at that level right away. Pete Carol has already shown his affinity (bias?) for collecting former USC players (Lendale White and Mike Williams), and this may end up being a detriment for the Seahawks. White is already off the team, and Mike Williams has yet to make any impact anywhere in his pro-career. The offense still lacks weapons, and they traded away backup QB Seneca Wallace to the Browns, leaving them in dire straits should Hasselbeck go down (which seems to happen every year). They are very clearly the third best team in the division, and it’s hard to see them beating Arizona or San Francisco. At best, they pick up 2 wins against the Rams, but they very well may give the Rams a win this year. While Seattle may be able to pick up some wins against the AFC West and NFC South (TB, DEN, KC), I don’t think they can make it to 8-8. They obviously need to rebuild, need to find a QB of the future, and need to surround said QB with something other than old and busted receivers. Earl Thomas will not turn around their 30th ranked pass defense over night, and little was done to improve their 15th ranked run defense. This is one of the easier picks in my opinion, and I’m taking the under. Pop quiz! Name six teams the Rams could beat… and you’re absolutely right! There aren’t 6 teams the Rams could beat. The Rams have so many holes, and while they made some good moves in the draft and free agency, they still have another season or two to go before they can think about having 8-8 as a goal. The 25th ranked defense didn’t change much, and Stafford isn’t going to have a whole lot of time behind a young and shaky offensive line. Steven Jackson is reportedly the healthiest he’s been in a long time, and the Rams better hope he stays that way, otherwise they won’t be able to generate anything on offense. Looking at the easiest opponents on the schedule (@OAK, SEA x2, @DET , @TB, @DEN, KC), they’ll get some wins, but they are out-matched by any of those teams. The Rams should be in contention for the 1st overall pick in the 2011 draft, and this should be an easy under. Ravens wide receiver Donte’ Stallworth broke his foot in Saturday night’s game against the New York Giants and will probably be sidelined for two months. It is unclear when the injury occurred, but it likely occurred during one of Stallworth’s three punt returns. He saw limited time on offense and did not catch a pass. Ravens coach John Harbaugh said Stallworth will have a screw placed in his foot. Harbaugh said he hopes to have Stallworth back on the field around the time the team has its bye week Oct. 31. Baltimore signed Stallworth as a free agent in February. He was suspended last season after pleading guilty to DUI manslaughter, a second-degree felony, in the death of a dock worker in Florida. Stallworth was driving when he hit 59-year-old Mario Reyes in March 2009. 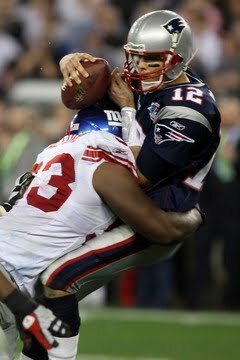 His last action before this season was in December 2008 with Cleveland. The regular season is nearly upon us, and odd-makers everywhere have set their lines for regular season wins. 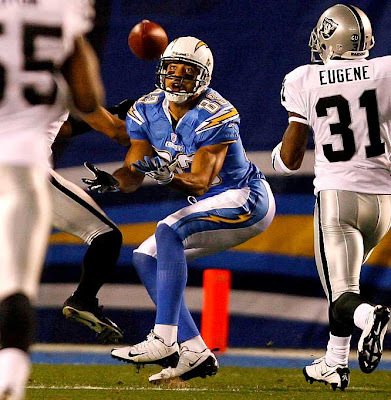 In a series of posts, I will cover every over/under available, giving you my take on each team’s 2010 outlook, and my pick on the over or under. For those of you new to sports betting, an over under is quite simple; the house gives you a total number, and you simply pick over or under that number. In the case of NFL regular season wins, we simply need to pick whether the team in question will produce more or fewer wins than the given number. Each year in the NFL, aside from their intra-division games, each division also faces two other divisions in the league; one from the AFC, and one from the NFC. The non-division opponents will be listed at the start of each article. In addition to the games, each team also has two “wild card” games, which are against two other teams in the NFL outside of their own division, or the two other divisions on the schedule. These matchups will also be evaluated for some teams. It is extremely important to look at the strength of schedule when evaluating a team’s ability to win throughout the year. Our trip around the NFL begins with the AFC West, so let’s get started! Denver has had no shortage of bad news this offseason, in the form of coaching changes, trades, and injuries. Mike Nolan departing for Miami has to be seen as a big blow to the defense, which played very well last year. With Elvis Dumervil out for an extended period of time, I expect a substantial drop off in play from the Denver’s defensive unit. Offensively, Brandon Marshall is now gone, while Knowshonn Moreno and rookies Demaryius Thomas and Eric Decker have sustained injuries in camp. As if that weren’t enough, both the Chiefs and the Raiders have improved, and could legitimately challenge Denver this season. Non-division opponents include the NFC West and AFC South. While they may get a couple of wins from the NFC West, there is a strong possibility Denver could be at the bottom of its own division this year. As they barely managed to finish 8-8 after starting 6-0 last season, I would expect that losing trend to continue through 2010. 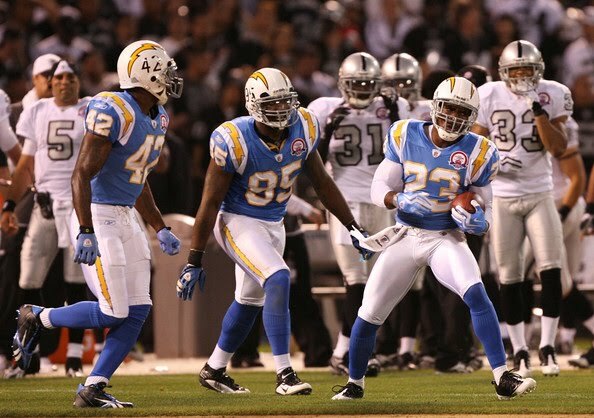 The AFC West is incredibly difficult to project this year… How far will the Chargers fall? How much of their slack will be picked up by the Raiders and Chiefs? 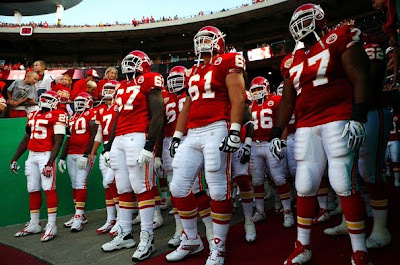 The Chiefs should sport a much more dynamic offense this year as they head into their second season under Todd Haley. They have an excellent tandem in the offensive backfield, with Jamaal Charles backed up by Thomas Jones. The defense is still a weak point, but rookie Eric Berry should have a substantial impact and help them claw their way up the defensive rankings a bit. Looking at their division schedule, it’s wide open. Kansas City should be able to fight Oakland for the second best record in the division, as Denver has been decimated by offseason losses and injuries. Outside of the division, while the AFC South will be difficult, the NFC West should afford a couple of opportunities for wins (SEA and STL). Even more importantly, their two “wild card” opponents are Cleveland and Buffalo, which is a gift from the scheduling gods for this team. 3 division wins seems attainable, and I see at least 4 wins outside of the division for this team, which makes them an over. The logic here is very simple. The Raiders finished last year 5-11, with JaMarcus Russell, the worst QB I’ve ever seen in my life, leading the team. He is now gone, and Jason Campbell leads the offense. That alone should get them over 6. However, in another shocking development for the Raiders, they actually managed to have a good draft! Training camp reports have been solid on their rookies, and it looks like they’ve strengthened their offensive line, line-backing corps, and secondary. While Campbell won’t have a lot of weapons on the offensive side of the ball, the running game is solid, and the defense will keep them in it. A good, ball-control offense will lead to wins. Moving on to the schedule, they should be able to improve on their 2-4 division record from last year. 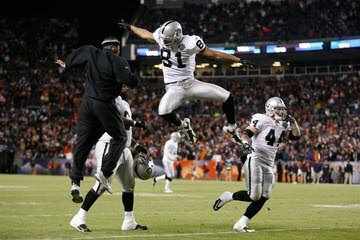 The Broncos will be at the bottom this year, and the Raiders should be able to collect 2-4 wins, I think. Outside of the division, the AFC South will pose some problems, but their talented defense should be able to provide at least one win, maybe even two. The NFC West is more favorable for Oakland, and two wins shouldn’t be a problem there. Unfortunately for Oakland, they drew Miami and Pittsburgh as their two “Wild Card” opponents, both of which make for tough games. Nonetheless, I feel like 6 wins is the floor for this team, so I can comfortably bet on the over. This pick is in large part due to the holdouts of Vincent Jackson (WR) and Marcus McNeil (LT). While I believe they could withstand V-Jax holding out, losing McNeil is huge, as San Diego does not have much depth on that offensive line. In addition to these losses, division rivals Kansas City and Oakland have made solid improvements to their respective teams. I don’t see San Diego doing worse than 4-2 in the division, but may have issues outside of it. Their defense (11th ranked against the pass, 20th against the run) struggled last year, and they did little to improve it this year. Jamaal Williams and Antonio Cromartie are gone, and San Diego is attempting to fill those holes with rookies. I think they will continue to struggle on that side of the ball in 2010. In their NFC West matchups, the Chargers may have problems slowing down the 49ers and Cardinals. The AFC South features two strong passing attacks (Indy and Houston) and arguably the best running back in football, Chris Johnson (Tennessee), which will also pose challenges for the San Diego defense. Their two “Wild Card” opponents are New England and Cincinnati, both quality teams. While I do see San Diego winning the division and making the playoffs, 12 wins is a bit much to ask for this year. This could be a push, but more than likely it will be an under. True: Maurice Jones-Drew will not play in the Jacksonville Jaguars' final two exhibitions, beginning Saturday in Tampa. However, Jones-Drew did not have surgery this week on a bum knee. Such reports, according to his agent, are "absolutely false." So reports Tania Ganguli of the Jacksonville Times-Union. She confirms that Jones-Drew will sit out rather than face the Buccaneers. Ganguli also says coach Jack Del Rio usually sits his starters in the final exhibition, so Jones-Drew wouldn't have played anyway. A published report Friday pitched a proposition that Jones-Drew had arthroscopic surgery this week, leading to his absence from practice. "But the running back said Thursday that he does not have an injury, he is being held out as a precautionary measure," Ganguli reports. To wit: Jones-Drew sat out Tuesday, Wednesday and Thursday this week and at other times during camp. Plus, coaches limited his touches and playing time in the first two exhibitions. 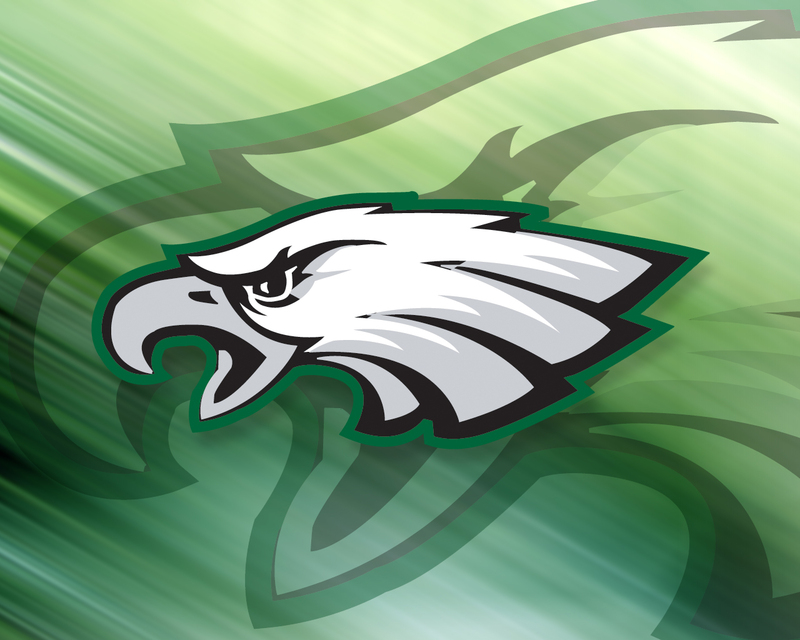 Looking for positives out of Friday's 20-17 exhibition loss to the Philadelphia Eagles? There were some, but the Kansas City Chiefs are now 0-7 in exhibitions under coach Todd Haley. However, quarterback Matt Cassel went 14-of-23 for 85 yards, with one touchdown and one interception. And for the Chiefs' offense, Cassel atoned for a slow start in the team's best performance of the preseason. 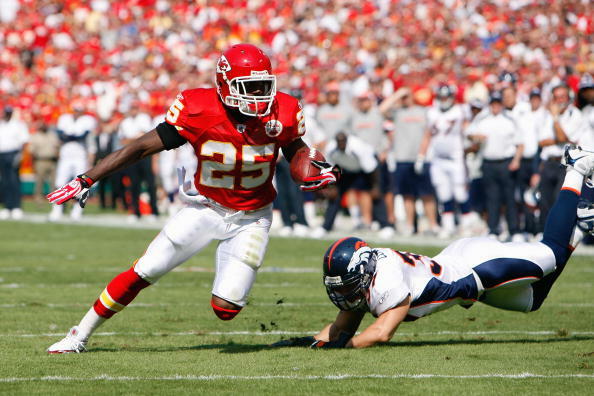 But trouble outweighed the positives; including an apparent injury to feature back Jamaal Charles. He didn't return to the game after limping off late in the first half and appeared to be holding his right arm. Remember, Charles had offseason shoulder surgery. He landed awkwardly on his arm after being taken down by Eagles defensive back Nate Allen along the sideline. Worse, linebacker Cameron Sheffield was taken off the field on a cart after a helmet-to-helmet hit in the third quarter. Sheffield was evaluated for a neck injury. Haley was reserved after the game in his comments about Sheffield. "Right now I don't have any information I feel comfortable giving because there are a lot of family and friends out there of Cameron's and I don't want to say something and it ends up being wrong," Haley told reporters. "I just want him and his family to know the Kansas City Chiefs are praying for him." A fifth-round pick from Troy, Sheffield is an outside linebacker being used as a nickel rusher. Ravens ORT Jared Gaither missed the majority of training camp and was expected to miss all of the preseason because of a back injury, and whether he will be ready for the regular-season opener against the Jets on Sept. 13 is somewhat in question. 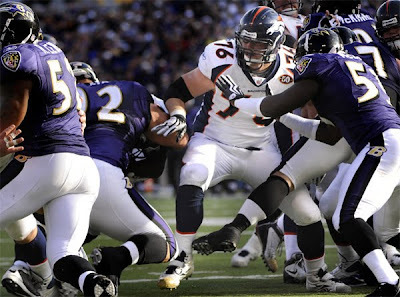 However, head coach John Harbaugh, speaking to Baltimore reporters on Aug. 25, said he had been told Gaither's injury, which the tackle has said is to his thoracic disc, could heal quickly, and Harbaugh noted Gaither has been diligent in his work as he tries to return to the field. On Aug. 14, Harbaugh had said Gaither could return in 2-3 weeks. "We were given that basic time frame for when he might be back, and we just have to see how it goes," Harbaugh said. Gaither told The (Baltimore) Sun that he would return when he was "100 percent" healthy. If Gaither were out for the opener, the Ravens ideally would turn to Oniel Cousins, assuming he has recovered from a concussion suffered on Aug. 18. 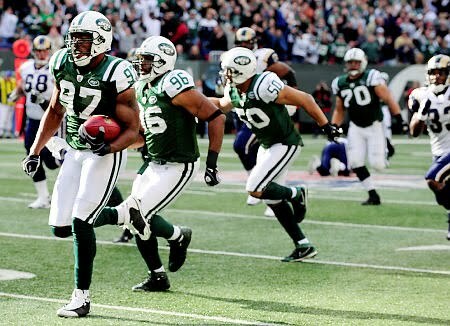 New York Jets linebacker Calvin Pace has injured his foot against the Washington Redskins and could miss a few weeks. Coach Rex Ryan says Pace has “something with his foot,” an injury suffered in the Jets’ 16-11 loss Friday night. Pace, who led the team with eight sacks last season, left the game in the third quarter. The severity of the injury was not immediately known after the game. Ryan also says the Jets are fortunate to have depth at the position, and veteran Jason Taylor will step into Pace’s spot in the lineup. Though the diagnosis can't be confirmed without an MRI exam, the early news regarding the knee injury suffered by Rams receiver Donnie Avery isn't good. Adam Caplan of FOXSports.com reports that the Rams fear receiver Donnie Avery, who injured his right knee against the Patriots on Thursday night, will miss the rest of the season. As Caplan explains it, team doctors can check for loose ligaments via manipulation of the knee. Without Avery, the job of catching passes from Sam Bradford or A.J. 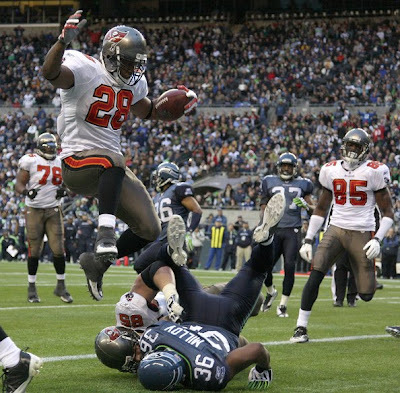 Feeley or someone else will fall to Laurent Robinson, Keenan Burton, Mardy Gilyard, Danny Amendola, Jordan Kent, Brandon Gibson, Brandon McRae, Dominique Curry, and/or Danario Alexander. In a portion of the season during which there are no wins or losses, the Colts may have suffered the only actual kind of loss that applies during the exhibition games. 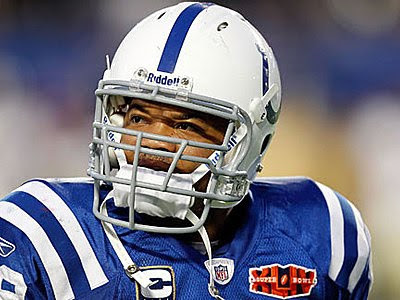 Middle linebacker Gary Brackett, a key free agent whom the Colts retained after the 2009 season, injured his hand during Thursday night's game against the Packers. X-rays are being administered. Three teams placed waiver claims on tackle Tyler Polumbus, who was awarded to the Detroit Lions on Wednesday. The Denver Broncos released Polumbus, a third-year pro who started eight games last season, after left tackle Ryan Clady returned to practice this week. Polumbus was a hot commodity on waivers. In addition to the Lions, the Houston Texans and Seattle Seahawks also put in waiver claims, according to a league source. The Lions were awarded Polumbus based on having a worse 2009 record than the other claimants. The Detroit Lions released Jared DeVries earlier in the offseason to avoid having to shell out a roster bonus. The truth was, the organization really wanted him back and a Lion his entire career, DeVries wanted to return. Now, there is considerable question whether or not he will be able to play this season. The defensive lineman sought a second opinion on his balky left knee on Wednesday, according to the Detroit News. The Lions have been battling injuries all training camp. DeVries missed all of last season with a torn Achilles tendon, but the team wanted to bring him back for a 12th season because of the intangibles he supplies as a leader. Plus, when healthy he’s been a consistent performer. Now, is availability for the season is very much in question. That would be a blow for a defense that is full of questions. Philadelphia Eagles vs. Kansas City Chiefs is set for Friday night at Arrowhead Stadium, and it will be the third preseason tilt for the 2010 Birds. Usually, Week Three of the preseason is the one where the starters receive the most reps, sometimes playing all the way through the third quarter. That’s good news for Kevin Kolb, who has looked good on the whole so far and will now be matched against a defense he torched for 327 yards and a pair of touchdowns in Week Three of the 2009 season. It’s also good news for a handful of players who will either have the chance to show they belong on the first team deserve a lot of PT from their backup positions. The Birds use a lot of rotational players, especially on defense, so the Chiefs game will give the coaching staff their “best” look at how those rotations might work out in the regular season. These guys in particular would really benefit if they can make an impact on Friday night—and could clear up a lot of question marks by doing so. With Nick Cole hobbled most of the preseason by an ankle injury, McGlynn has taken a good chunk of the first-team reps at center—and has looked really good doing so. The true test of his development, however, is seeing if he can handle a task that Cole and injured starter Jamaal Jackson have had no trouble with in recent years: playing every snap and doing so at a high level. If McGlynn can pass that test, he’ll solidify a lot of things. One, obviously, is his first-team status, but a big secondary benefit is that he’ll solidify the whole line. Cole is best suited to be a jack-of-all-trades, and he thrives in that role. Having him as the “sixth man” would push the starters at both guard spots (and McGlynn) to continually perform. McGlynn winning the job would also likely spell the end of AQ Shipley. Jamaal Jackson should be back at some point this year, but even if he isn’t, the Birds feeling comfortable with McGlynn as his fill-in (and Cole as his backup) means that Shipley, a true center, is unnecessary. He’d likely be kept around as a camp body until his roster spot is needed, but barring injury, his chances of making the team would be zero. Three players (and maybe four if you count Charles Scott) fighting for the final running back spot on the roster. Eldra Buckley is the heavy favorite in the clubhouse, but if Bell is not 100 percent healthy, Martell Mallett or J.J. Arrington could find their way onto the team. Bell is set to be the tough inside rusher the Eagles lacked last year—the “thunder” to LeSean McCoy’s lightning, so to speak. The problem is that he hasn’t seen any action yet this year due to injury, giving others a chance to shine. The former Saint is back now, however, and has reportedly looked great in practice. If he translates that success into a game situation (and doesn’t get hurt in the process), he’ll officially lock down the spot most still think is his. If not, Birds fans could be looking at Buckley as the No. 2 guy, and Martell Mallett would likely go from CFL Rookie of the Year to NFL reserve. In the span of about 12 months, Fokou has gone from rookie surprise to starting SAM to fifth on the ledger. The latest Eagles depth chart has Akeem Jordan as the starting SAM, and Omar Gaither’s versatility makes him the “fourth man” on that unit. Even though the Birds have been known to keep seven backers, Fokou still has a lot of work to do. The brass likes him a lot, and he has some good upside; he rushes the quarterback a bit, is good on special teams, and already knows the system. The problem, though, is that he’s the least versatile of the remaining bunch. He’s a true SAM, so guys like Keenan Clayton and Jamar Chaney (who can likely play either side) have him there. Tracy White is a special teams ace and also knows the system, and Simoni Lawrence is learning quickly despite limited reps.
Fokou struggled at times last year as the starting SAM, and from all accounts hasn’t terribly improved in more than one of the areas he’s lacking in. So far, the Eagles have been rotating linebackers like crazy depending on the situation, so Fokou will likely see a lot of time on Friday night. If he plays well, he should solidify his spot on the team. If he doesn’t, he may just become the next draft pick who follows a meteoric rise with a quick, hard fall. There’s not much that needs to be said other than this: as of right now, Brandon Graham is running reps with the first-team defense in practice. That doesn’t mean he’s the starting RDE just yet. But it does mean he’s close. Juqua Parker, who is still a better run defender, is penciled in there. But if Graham can look dominant against Kansas City in whatever action he gets, that performance will go a long way towards him officially supplanting the incumbent. Parker will still be an important part of the line rotation—but if Graham goes crackers, it’ll be more of “Parker spelling Graham” than the other way around. The New York Jets are close to a contract extension with CB Darrelle Revis and could be finalized and announced in the next few days, a source told Dan Graziano, of AOL FanHouse. Now that Nick Mangold received his new deal the Jets will focus all their attention on making Darrelle Revis happy. If they could get something done with Revis it would mean three of their 'core four' have received deals. David Harris may have to wait until next year to get a bump in pay. Finally some good news out of Minnesota. The Vikings have traded for Miami WR Greg Camarillo. The Vikings have acquired wide receiver Greg Camarillo from the Miami Dolphins, according to multiple reports. The move comes a day after the team signed veteran free agent Javon Walker and two days after Sidney Rice underwent surgery to repair a hip injury. Rice is expected to be out for at least half the season, if not more. I love this trade. Camarillo is the classic overachiever. He doesn't have the physicals to wow anyone. But he gets things done. He's caught 105 passes over the last two seasons with not exactly Peyton Manning throwing passes. He strikes me as a guy that could fit into a Brett Favre WR rotation. Especially given the opportunity that Sidney Rice's injury will open up. Let's see how this shakes out but at the very least, Camarillo's value just went up getting out of a crowded Miami WR group. 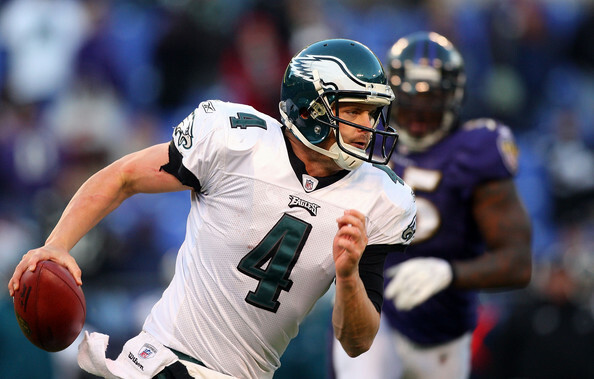 It's an uptick for Brett Favre as well to add a capable receiver. The Minnesota Vikings have signed free-agent WR Javon Walker (Raiders), the team announced Tuesday, Aug. 24. Terms of the deal were not disclosed. Walker gets to catch passes from Brett Favre once again. With Sidney Rice likely to miss the first half of the regular season the Vikings needed to add some help to the WR corps. The rain and plenty of first-half errors last Saturday night couldn't hide the enjoyment Browns coach Eric Mangini was having with QB Jake Delhomme and an improved roster this preseason. Berea Ohio -- What does it say about the Browns' progress when the biggest complaint Eric Mangini has is that it hasn't rained enough in Berea? It says the Browns' coach is otherwise pleased with a lot of things about his team in his second season. 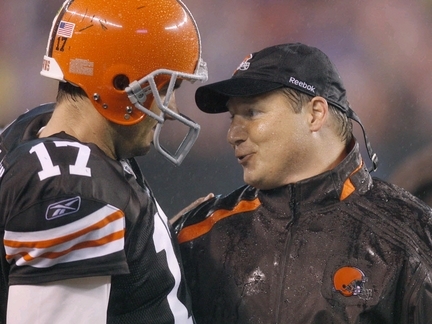 President Mike Holmgren and GM Tom Heckert might have other opinions, having recently been with playoff teams. They weren't here when Mangini's first team at this stage a year ago still was divided between those who trusted him and those who didn't. The former group clearly was in the minority as the third preseason week approached. At this time a year ago, the Browns had no clarity at quarterback and no real hope of seeing leadership there. The offensive line was a huge question mark. Feature running back Jamal Lewis was hitting the age of 30, but not any holes. Receiver Braylon Edwards, well, was being Braylon. The top two tight ends were Robert Royal and Steve Heiden. Cornerback Hank Poteat was counted on to fill an integral role in the defense. Mike Furrey was one of the surest tacklers in the secondary. Yes, Mike Furrey, the possession receiver. We don't know where the Browns go from here, but we do know how far they've come in one calendar year. Biggest Improvement: The quarterback position and the secondary (tie). 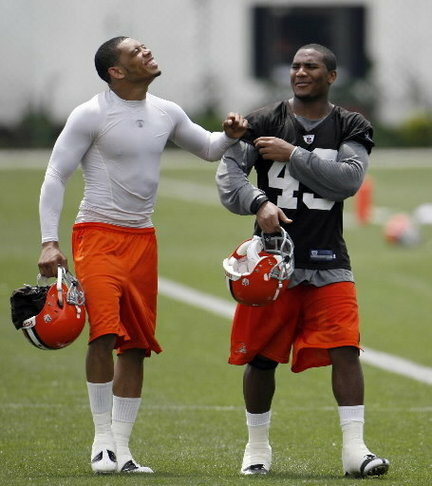 Joshua Gunter / The Plain DealerRookie cornerback Joe Haden (left) and safety T.J. Ward have brought positive attitudes and considerable talent into the Browns secondary -- exactly as was hoped when they were the team's top two draft picks last spring. Rookie cornerback Joe Haden (left) and safety T.J. Ward have brought positive attitudes and considerable talent into the Browns secondary -- exactly as was hoped when they were the team's top two draft picks last spring. You can read what you want into preseason games. Jake Delhomme appeared to be struggling in the days leading up to the Green Bay game. Then he displayed the decisive leadership and throwing accuracy that attracted him to Holmgren. Then again, he wasn't a turnover machine in the Carolina preseason last year, and we know how that turned out. But Delhomme needed to have positive performances early for a couple of reasons. His new teammates and the fans needed to see him deliver. A struggling start, even in games that don't count in the standings, would have laid the foundation for another QB controversy heading into the season. That won't happen now. As for the secondary, top picks Joe Haden and T.J. Ward have not disappointed. Both appear to be starting caliber very early in their rookie seasons. Their drafting overshadowed the trade for Sheldon Brown -- one of the best hitting cornerbacks in the NFC for many years. Together, the new trio will help eradicate the ridiculous sloppy tackling that pervaded the defense last year. 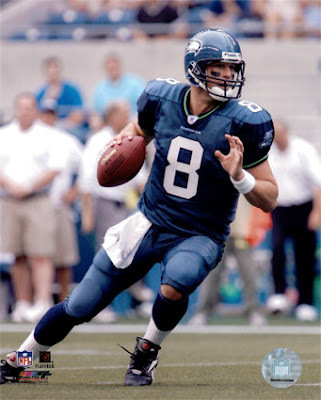 How many of us actually saw him play in a game in seven seasons in Seattle? Who is the Seahawks' biggest rival, anyway, Edmonton or Calgary? Holmgren and others said that we would be surprised by Wallace's arm and accuracy. Right on both counts. Factor in Wallace's mobility and ability to throw on the run and you have a playmaker forcing himself into a niche that demands creativity on the part of the coaches. Biggest Disappointment: Montario Hardesty's inability to get on the practice field. His well-documented injury history at Tennessee caused him to slide in the draft. Now he's spent his first NFL preseason behind closed doors running in a swimming pool and rehabbing a knee injury suffered in a non-contact workout before camp began. The rookie running back displayed enough maturity at the position in the off-season program to command an immediate big role. But nobody's seen him play against live tackling because of a "twisted knee." Running back is the one position in which natural instincts make up for lost practice time. The great ones can walk off the street and gain 100 yards without weeks of repetitions, as long as their legs are in shape. Hardesty's rookie season isn't in jeopardy yet, but this delay can't be seen as anything other than a huge disappointment to the club. John Kuntz / The Plain DealerThere may be several questions yet to be decided as the regular season approaches, but none of those questions pertain to impressive veteran tight end Benjamin Watson. 1. Who's the right tackle and will the position be any better than it was last year? 2. Where will Shaun Rogers line up on the defensive front, and when? 3. Can Shawn Lauvao handle the starting right guard spot immediately? 4. Is the Wildcat a diversion to make defenses prepare for, or will it be an effective option on offense? 5. Who are the best four linebackers? 6. Who's the backup center? season approaches, but none of those questions pertain to impressive veteran tight end Benjamin Watson. 1. The wide receivers look vastly improved and effective -- when thrown to. 2. Tight end Benjamin Watson will be a huge factor in the red zone offense. 3. Mangini and defensive coordinator Rob Ryan will manufacture a decent pass rush when the games count. 4. 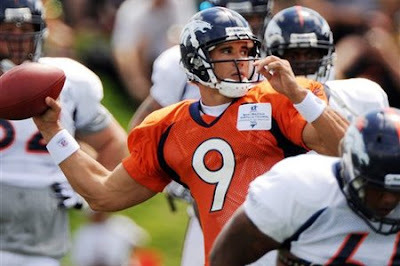 The trade of Brady Quinn to Denver for Peyton Hillis alone was a good move. Two potential conditional draft picks are icing. 5. Nose tackle Ahtyba Rubin has earned his playing time when Rogers returns. 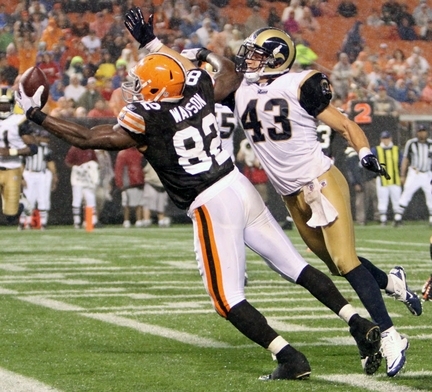 Mohamed Massaquoi is vital to the Browns' offensive success this season. 1. A short-yardage package of Lawrence Vickers and Peyton Hillis in a jumbo formation involving extra tight ends should be formidable. Hillis was stopped on a fourth-and-3 carry against St. Louis using a three-receiver formation. 2. At some point, somebody has to rein in the showboating already showing up in the defensive secondary. 3. Running back Jerome Harrison has the right attitude. 4. Players who appear to need good showings in the last two games to make the roster include linebacker David Veikune, tight ends Robert Royal and Alex Smith, running backs Chris Jennings and James Davis, quarterbacks Brett Ratliff and Colt McCoy, and receiver Carlton Mitchell. 5. With Heckert now in charge of the roster, not only will the final cuts be interesting, but so will the flurry of player pickups over the subsequent week. In a followup to the breaking news we sent you this morning, Vikings WR Sidney Rice confirmed that he did have surgery on his hip. He will likely miss the first half of the season. 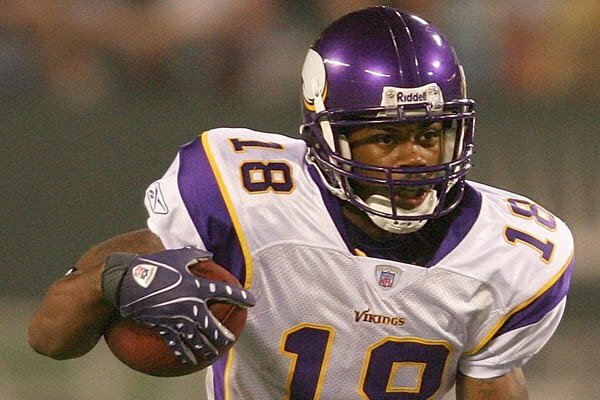 Sidney Rice confirmed in a text message to Chip Scoggins this morning that he had undergone hip surgery at the Steadman Clinic in Vail, Colo. on Monday. We reported Monday night that the wide receiver had been at the clinic for the past few days and surgery was very likely. In his text, Rice said the procedure had gone well. It's expected he will be sidelined for the first half of the season. Couple of things to take from this - First, and this has nothing to do with Rice, this confirms what I said about Judd Zulgad - he's a guy you should listen to. With all the noise that's out there, it's worth noting who to pay attention to. Secondly, as we said this morning, Brett Favre takes a hit. Rice was by far Favre's favorite receiver and a guy he seemed to have a genuine bond with. Peter King spoke this morning about Favre and Rice in the locker room after their final game of last season and how it was obvious that Favre had a different connection with Rice than he did the other players. This is a significant blow for Favre. Especially given the uncertainties surrounding WR Percy Harvin. If there is any upside here, it's for Bernard Berrian. Berrian owners are still stinging from the hamstring woes he suffered last season but it does look like Berrian becomes a guy that will be leaned upon much more heavily now. As Zulgad says in the article, veteran Greg Lewis and first-year player Logan Payne will have an opportunity to contribute. TE Visanthe Shiancoe will also be leaned on more one would assume. Bottom line is a huge blow for the Vikings and Rice. And a significant downgrade for Favre losing not just his best WR, but his go to guy. 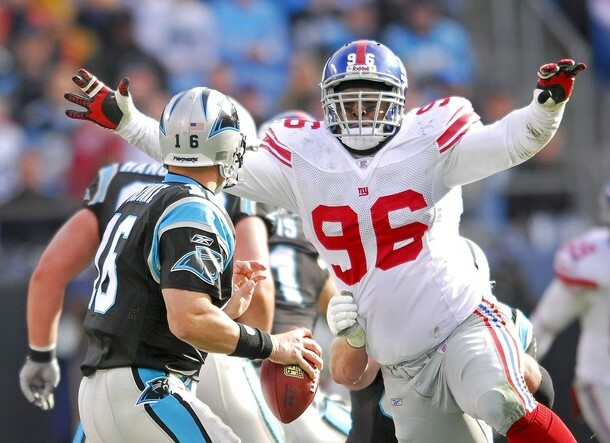 The New York Giants were one of the most perplexing teams in 2009. They fired out of the gates and went 5-0, and then, subsequently, lost the next 4 games unable to put it together going down the stretch. On paper they were one of the best defenses in the league--especially up front. 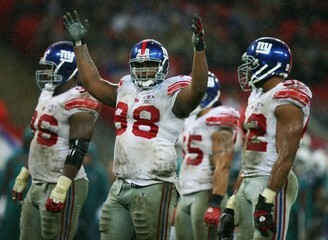 Offensively, the Giants were supposed to dominate on the ground with their in-tact offensive line and running game. However, they let their guard down after taking control of the NFC East early, and no such results were seen on either side of the ball as they couldn't sustain any consistency and faded throughout the rest of the season. They look nearly as solid on paper going into the 2010 season but without nearly the same confidence from the fans and media as to what they will see on the field. 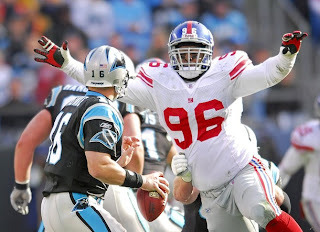 Since they hoisted the trophy three Super Bowls ago by defeating the then-perfect New England Patriots with their pass rush in a dramatic underdog performance, the Giants have focused and put emphasis on building a dominant and deep defensive line. Even the coaches couldn't figure out how the lines vanished last season--but, this didn't deter their continued fortification of their lines via the draft this offseason--particularly up front on defense. Still, they have lost big Fred Robbins at DT who has helped anchored the middle for years and will certainly be missed--now a St Louis Ram via free agency. Everytime either he or Barry Cofield--the other DT in the middle---were either nicked up or missing in the lineup, linebacker Antonio Pierce was answering questions to the media about what was wrong with the defense. 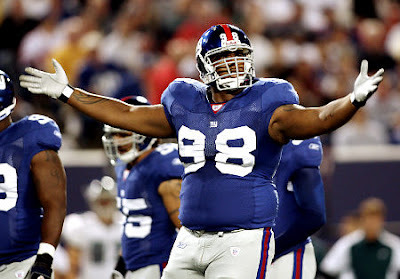 Pierce is also gone--retired, but the Giants recently signed LB Keith Bulluck from the Tennessee Titans. Meanwhile, veteran D-lineman Rocky Bernard (formerly of Seattle) and Chris Canty will pick up where Fred Robbins left off provided they can stay healthy and on the field. 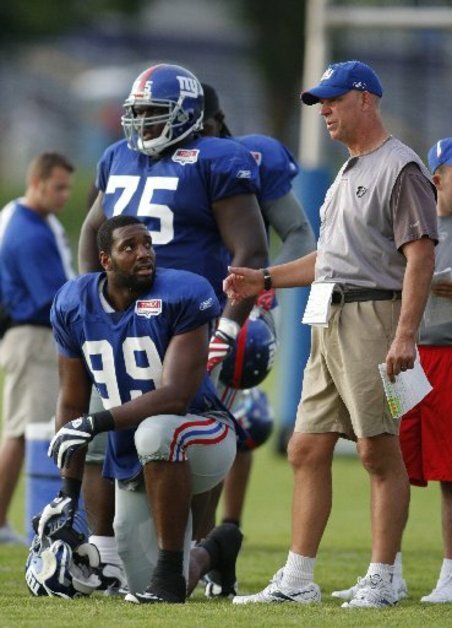 Jay Alford --who once sacked Tom Brady on the Pat's final drive in the Superbowl--is now an Oakland Raider. The offensive line also comes back pretty much in-tact and has the opportunity to return the running game back to form if they can get fortunate with the injury bug which has been a storyline so far in training camp. This team has the potential to surprise and even win the division if they can fulfill their potential on paper with their performance on the field. One thing for sure -- they are certainly flying under the radar in most pre-season reviews and will turn some heads as an underdog if Tom Coughlin can get them back to the form we saw a couple of years ago when they stole the Lombardi Trophy from Tom Brady and the Patriots' grasp in 2008.